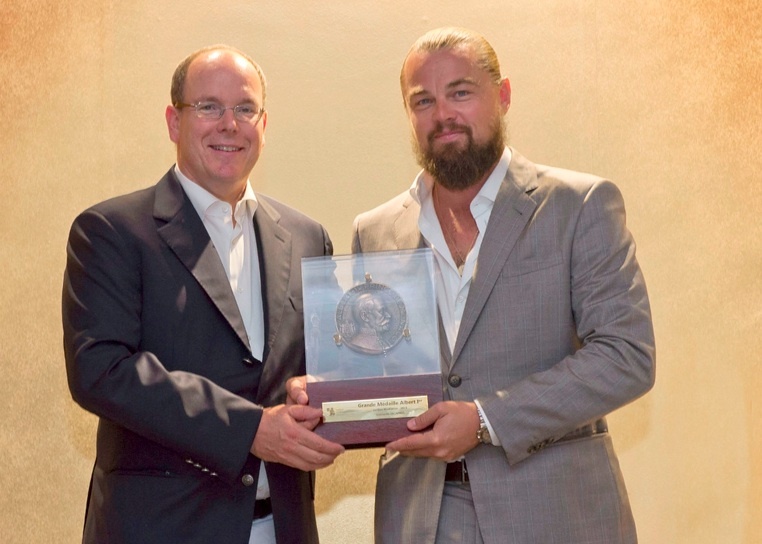 HSH Prince Albert II of Monaco Presents An Award to Mr. Leonardo DiCaprio. 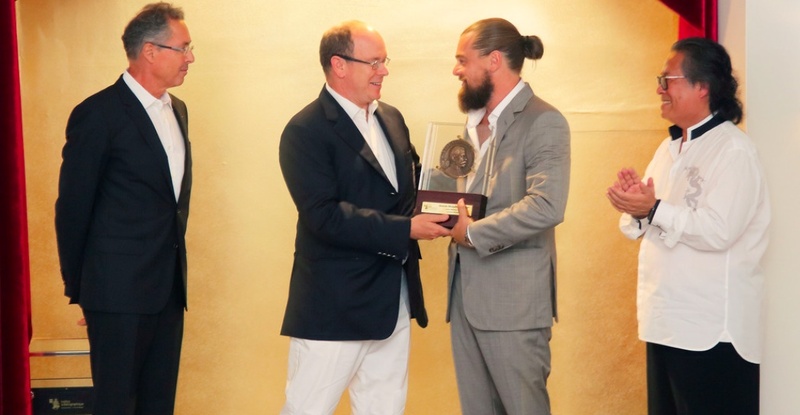 On July 21, 2015, His Serene Highness Prince Albert II of Monaco presented the Institut Océanographique’s 2015 Médaille Albert Ier pour la Médiation to five-time Academy Award nominee and well-known environmentalist, Mr. Leonardo DiCaprio. Established in 2014 the Médaille Albert Ier pour la Médiation award is presented to individuals who are committed to protecting the environment specifically the world’s oceans.